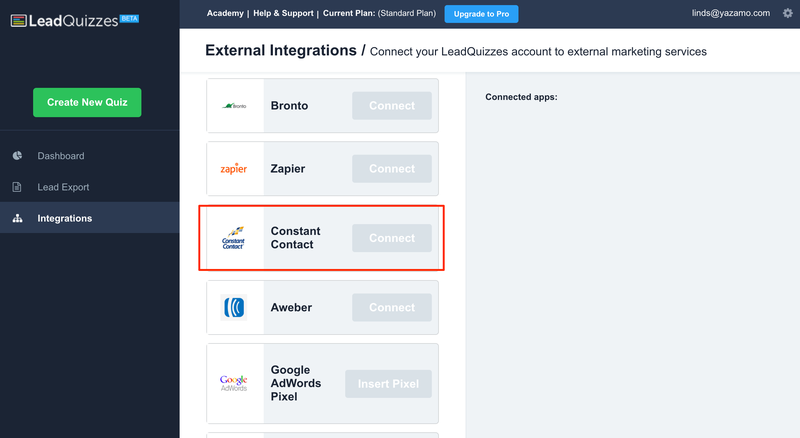 How Can I Connect My Constant Contact Account To LeadQuizzes And Segment My Leads? 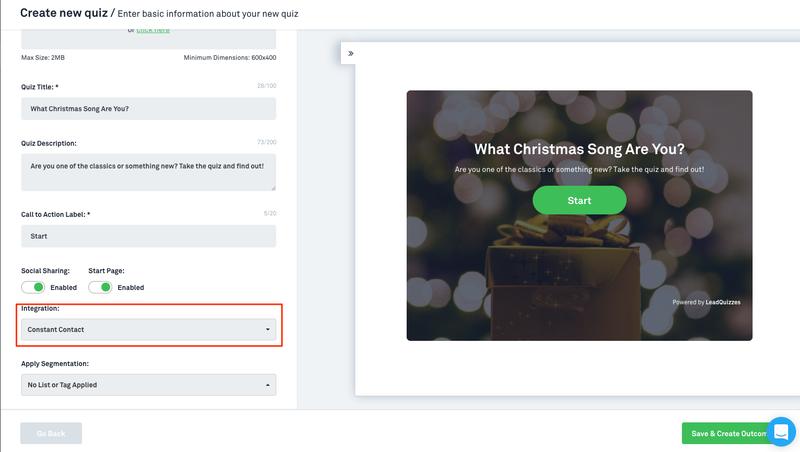 Connect your quiz and start sending personalized feedback based on your results! Watch the video or follow the steps below to connect your Constant Contact account to your LeadQuizzes account. Login to your LeadQuizzes account and go to the "Integrations" section on the lefthand side. 2. Select "Constant Contact" from the list of options. 3. 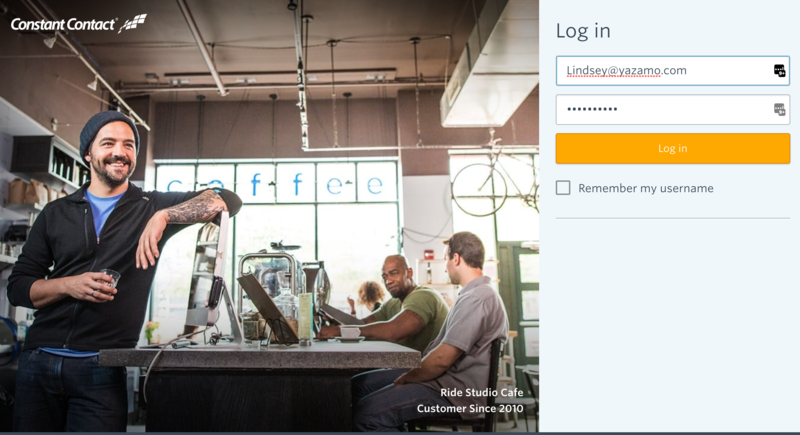 Login to your Constant Contact account in the new tab that you were directed to. 5. You should see a message that "Your Constant Contact account has been connected. You can close this window and return to LeadQuizzes". 6. Return to LeadQuizzes and click "Done"
How Can I Segment My Leads Using Constant Contact? Setting up segmentation for your leads is easy with LeadQuizzes! Just follow the steps below. 1. 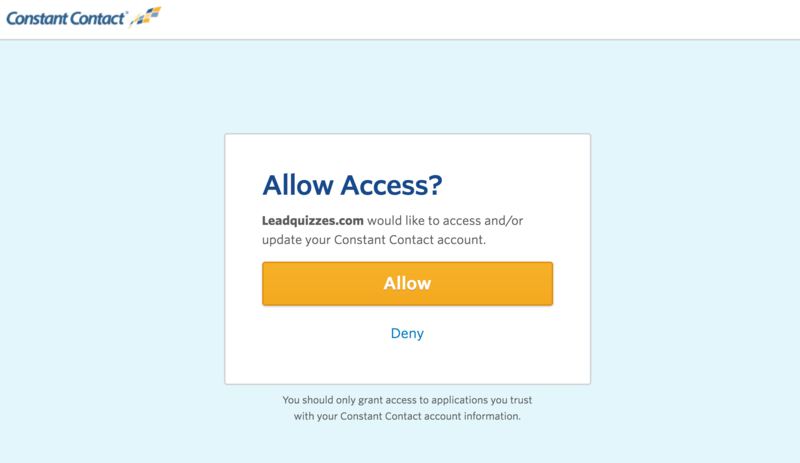 Connect your Constant Contact account to LeadQuizzes. 2. 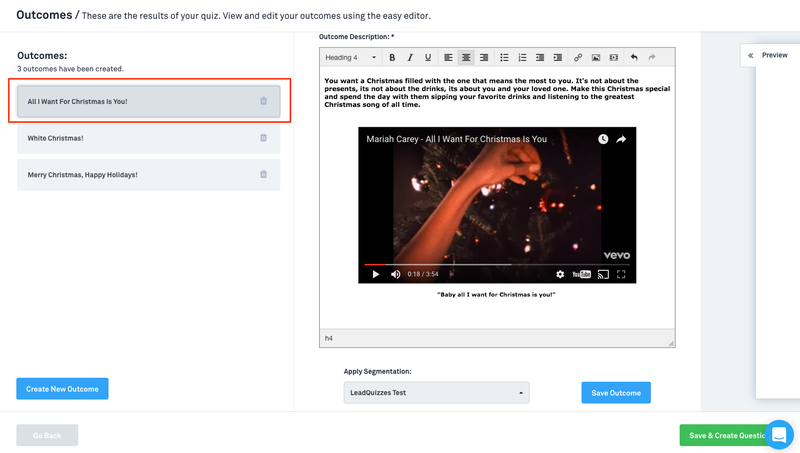 Create a new quiz or edit a quiz you already have created in your dashboard. 3. On the Configure page of the quiz builder. Click on Integration and select Constant Contact. 4. From the Apply Segmentation drop down select the Constant Contact list that you would like all quiz takers to be added to. 5. After you have completed the necessary fields on that page, click Save and Create Outcomes. 6. Finish creating your quiz and publish it so the changes will be saved and your leads will now be added automatically to your Constant Contact account. 7. If you would like to further segment your leads you can do so in the outcome section, however you must have a general segmentation selected first! 8. If you would like to segment based on outcomes received first create an outcome in the quiz builder. 9. Click on the created outcome shown on the left hand side. 11. Click Save Outcome and repeat for all outcomes you would like segmented. 12. 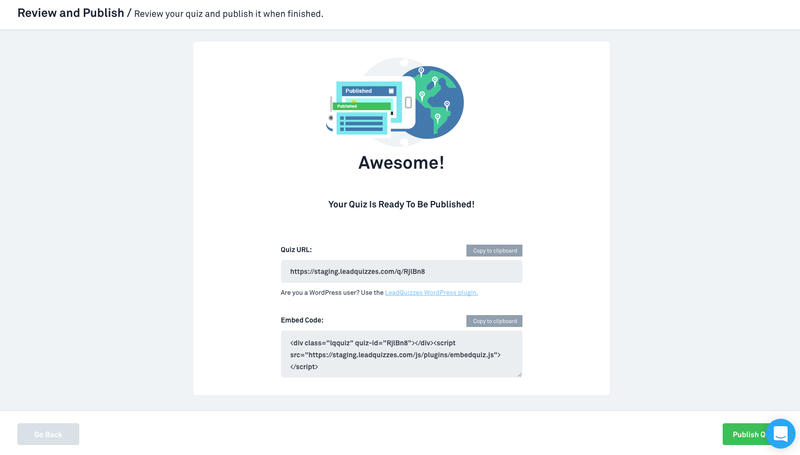 Finish creating your quiz and publish it so the changes will be saved and your leads will now be added automatically to your Constant Contact account.